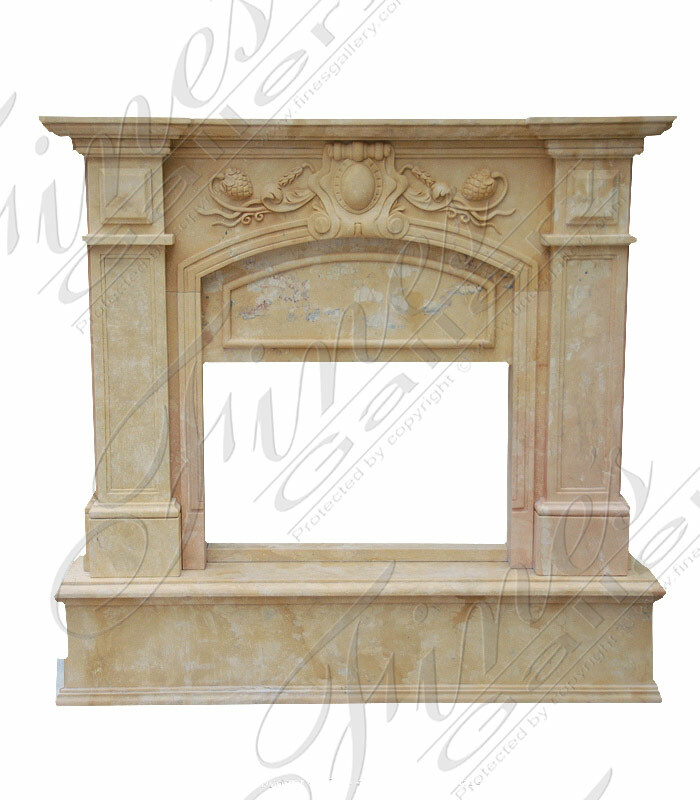 Italianette Brownstone Marble Surround A white marble mantel, designed with simplicity and elegance in mind. 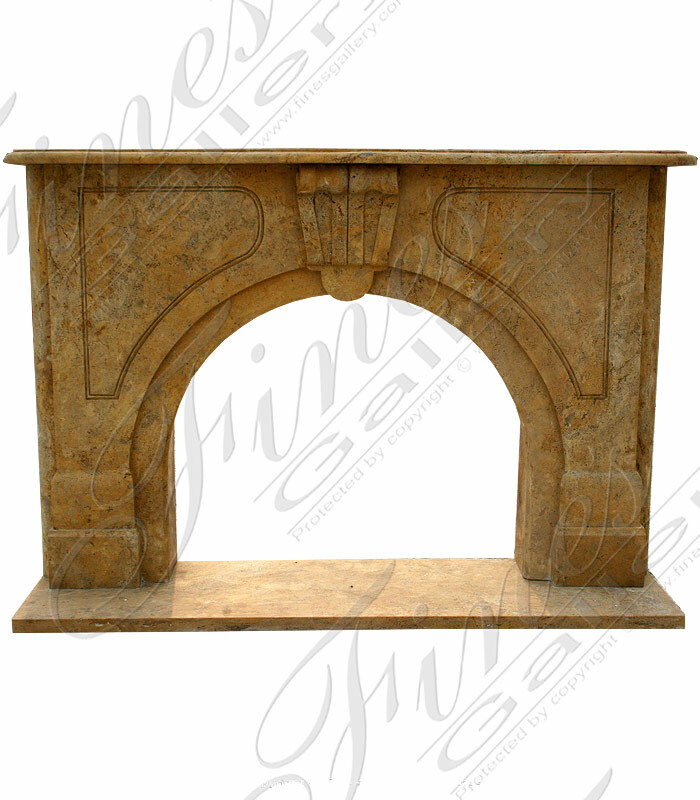 The arched opening is available to be custom sized to fit your firebox opening. 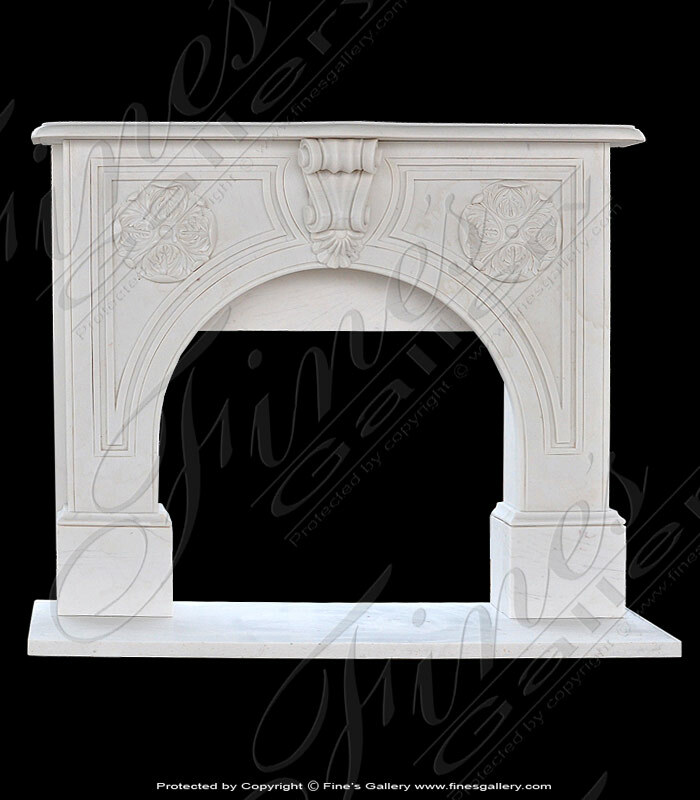 A beautiful white marble fireplace. Arched firebox area. In pure white marble with light gray veins. 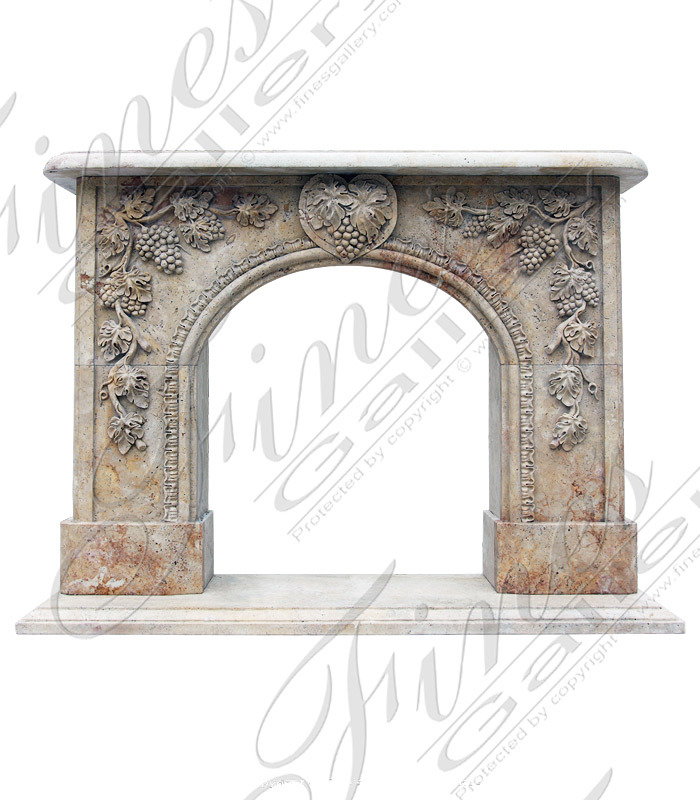 Delicate grapes and leaves adorn the centerpiece and surround the arched opening of this floral fireplace. 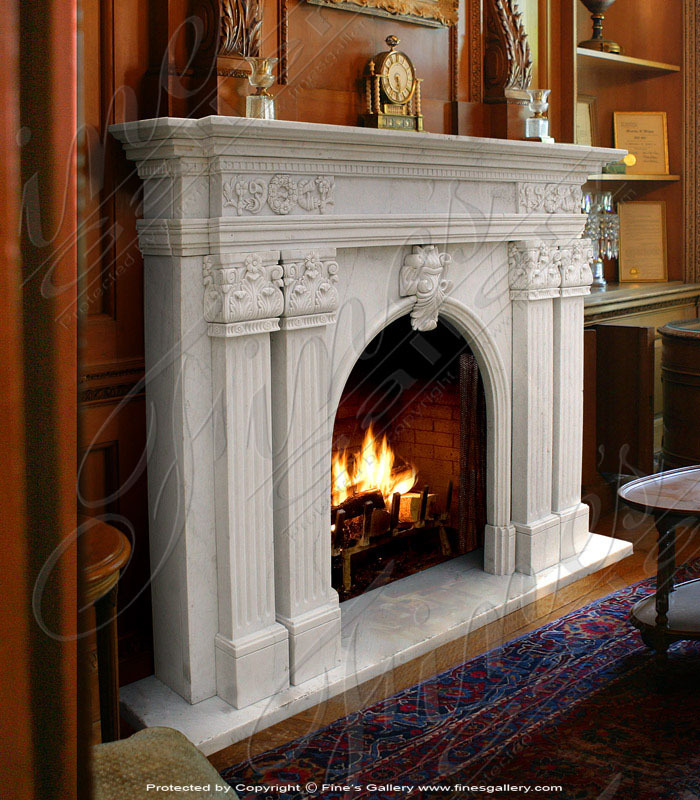 Hand carved from fine marble, this masterpiece is available in any color or custom size. This is luxurious treasure is full of intimate romance that will wonderfully enhance a setting like a master suite. 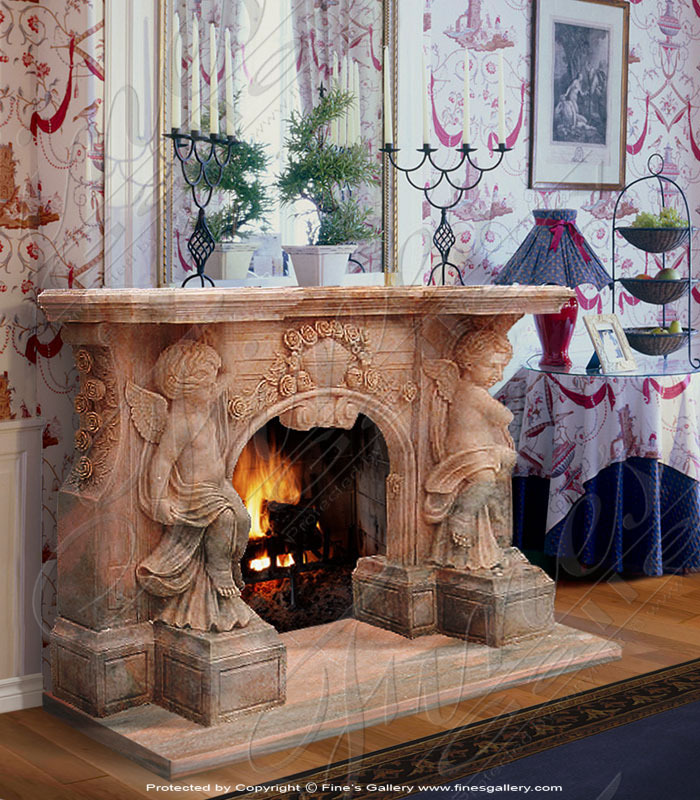 Set around a playful love theme featuring hand carved cherubs and roses, and made from our beautiful light Rosetta marble. Call us today. 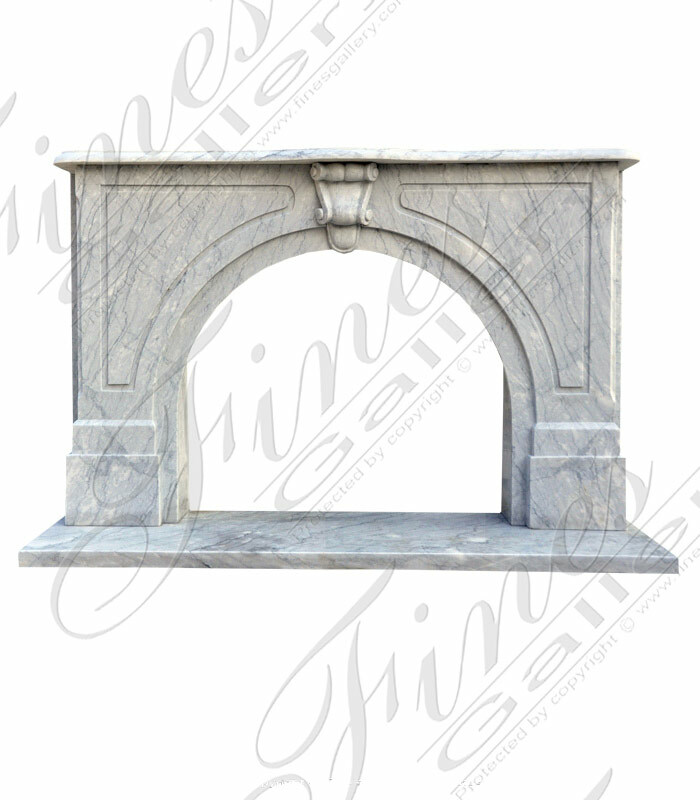 A beautiful bluish gray marble mantel with corinthian capitals and arched opening. 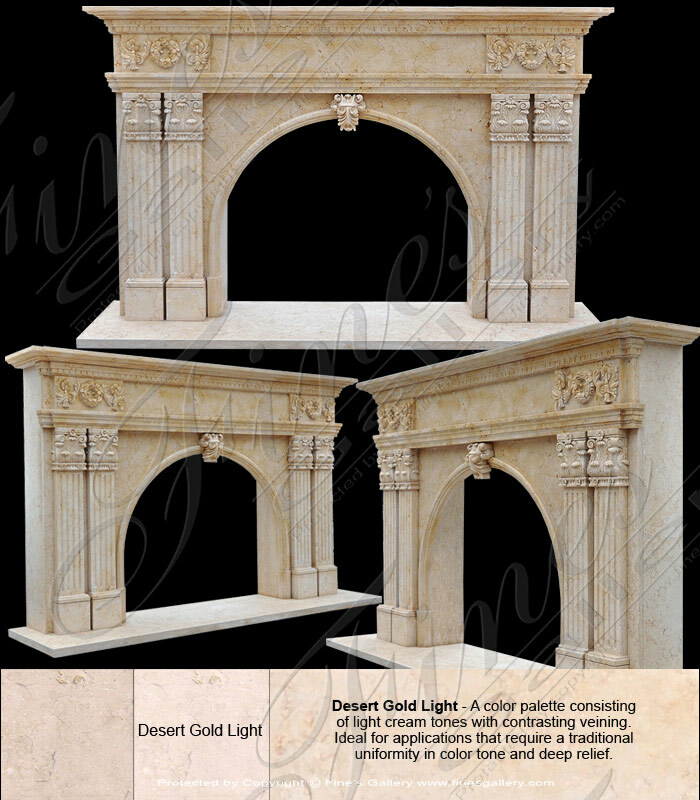 A breathtaking masterpiece hand carved specifically to scale according to our client\'s request. We can do the same for you, contact us today. 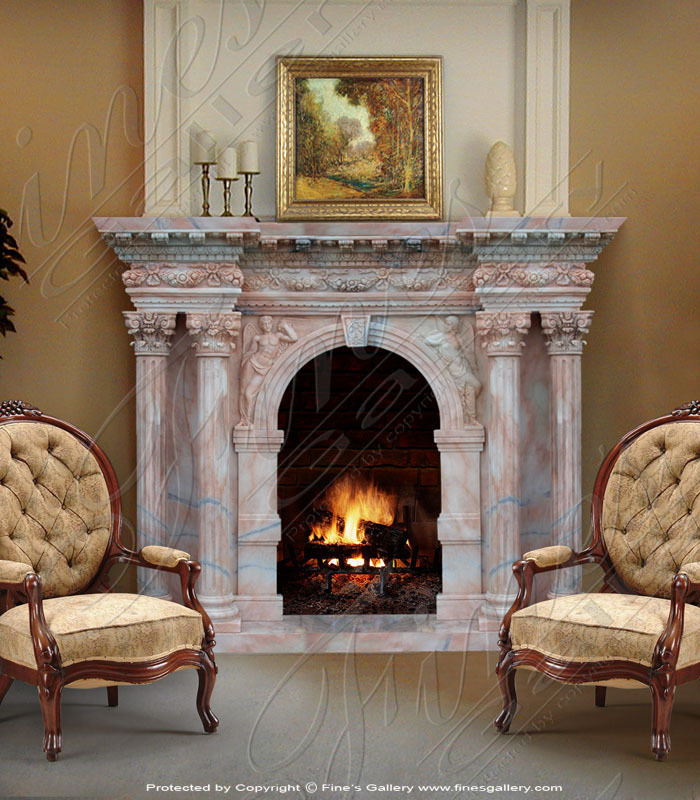 Enjoy this neoclassical piece with fine detail and fluted columns flanking an arched fireplace opening. 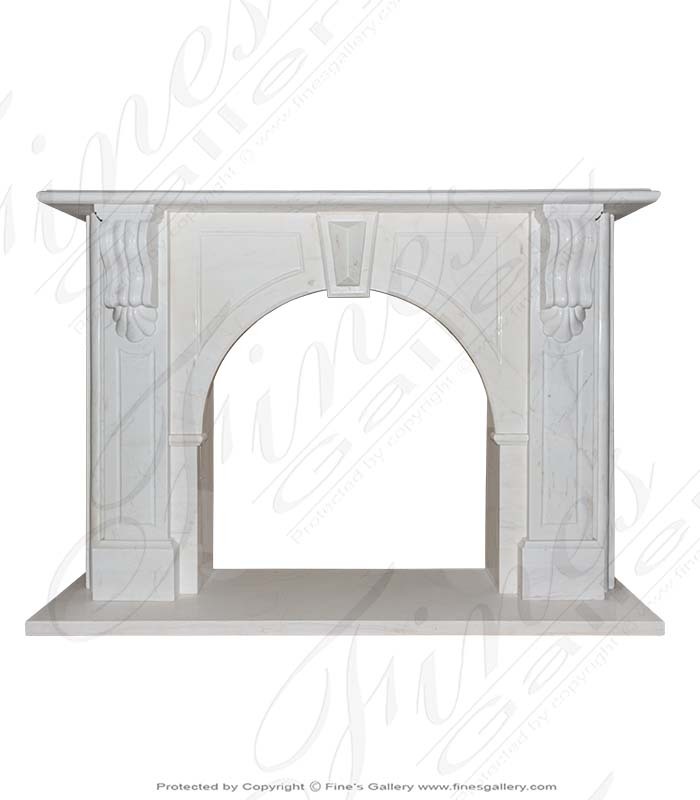 This brilliant white marble fireplace instantly glamorizes your home with its immaculate, four-columned design. Customized options available. 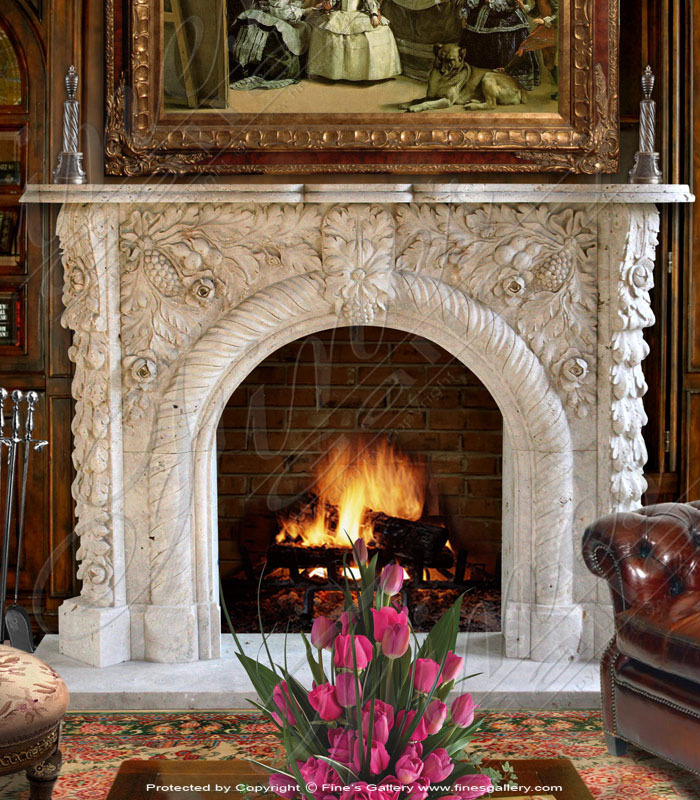 This beautiful marble surround with a botanical theme will leave a lasting impression. Embossed with exquisite artwork, this antique marble is hand-carved by our team of highly-skilled artisans. Please contact us to learn more about customization. 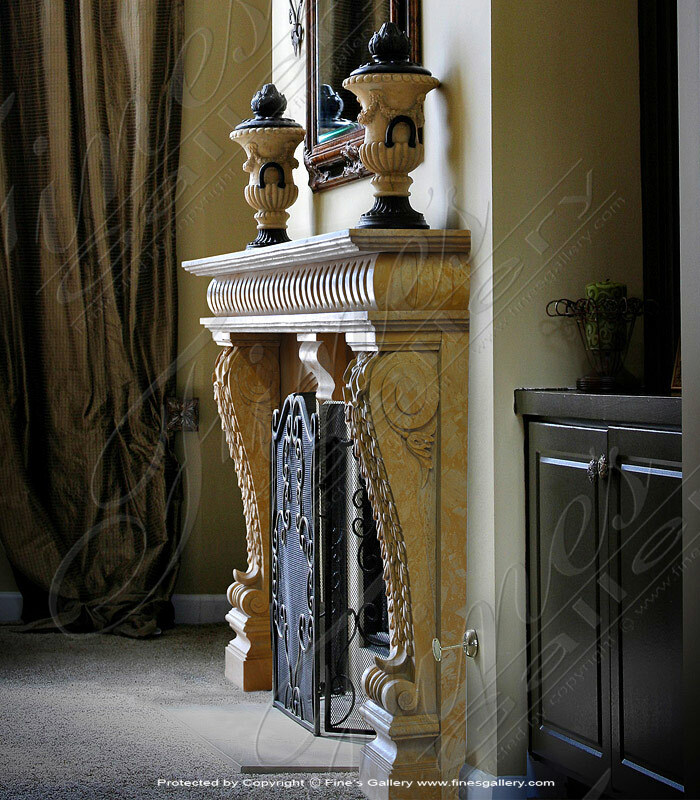 This is a gorgeous decorative fireplace made from a beautiful golden tan marble and featuring incredible hand carved artistry. Meticulous sculpted leaf decor frames the side, complimenting the geometric features throughout. Contact us today. 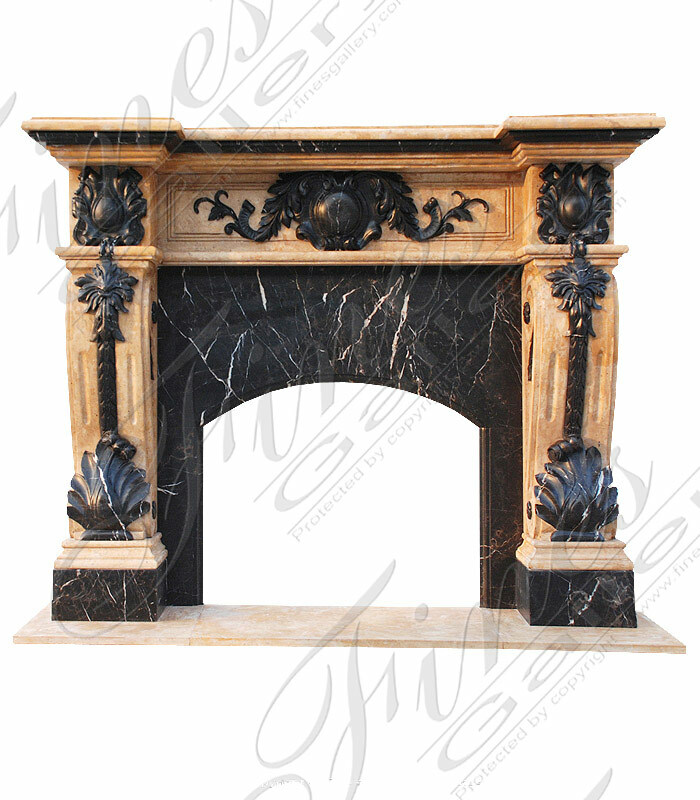 Magnificent and sophisticated, this fireplace surround is finely crafted from gorgeous marble. 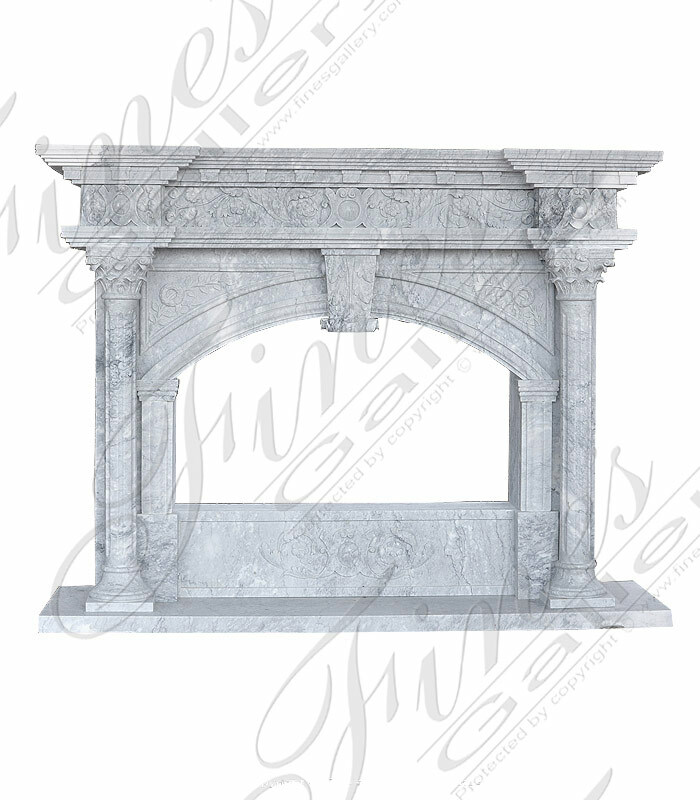 A classic design with mock columns, straight lines, and an elegant archway, this treasure is appreciated by art lovers the world over. 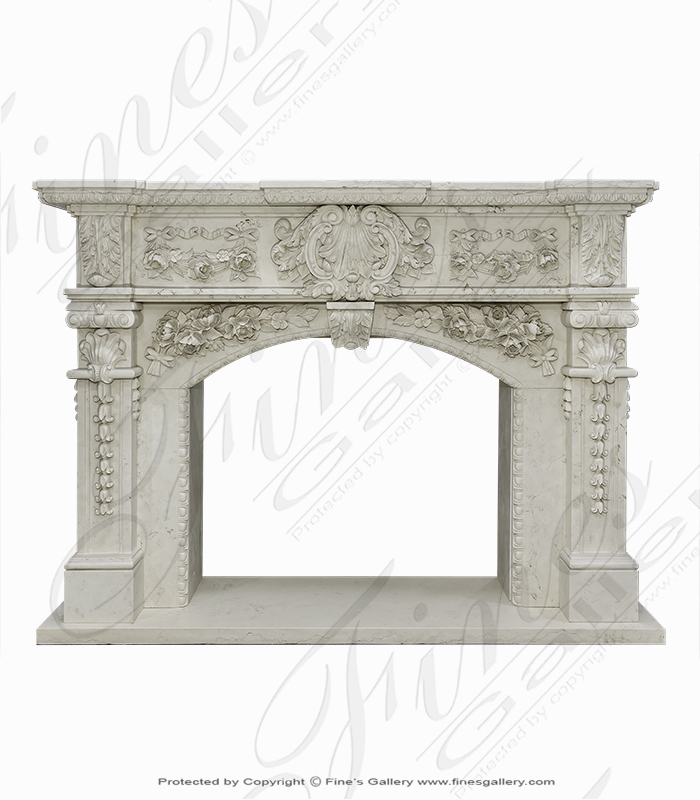 This enchanting fireplace surround features fine art expertly carved with delicate and devoted attention. An elegant design with gentle curves and lavish hanging grape detail, all sculpted from beautiful fine marble. Please call for more details. 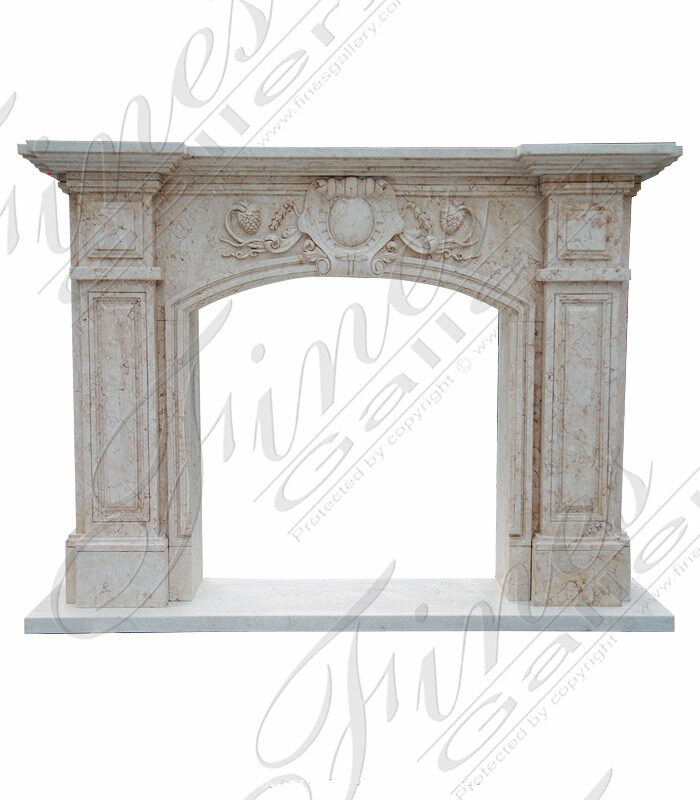 A beautiful pristine white arched marble fireplace.